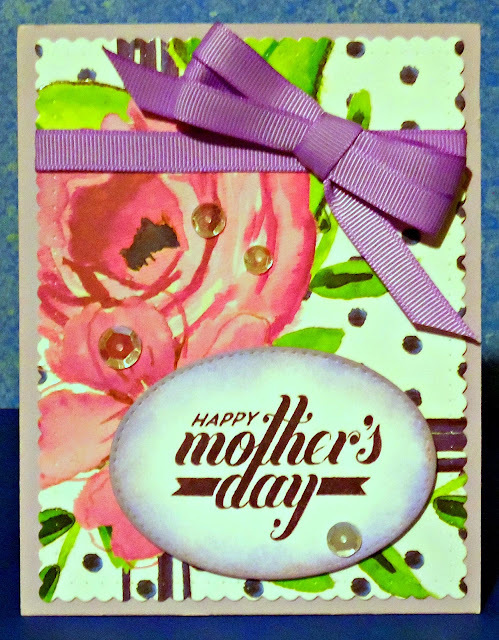 I am back with another card.....this one is for my dear MIL for Mother's Day....which is coming up alarmingly fast!!! How did it get to be MAY already???? 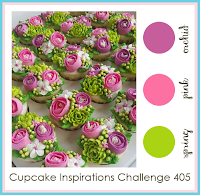 This is another entry for the Cupcake Inspirations #405 - Inspiration Photo/Colors Challenge which ends May 6. 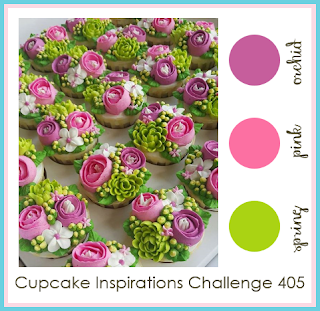 I am IN LOVE with the beautiful cupcake inspiration photo for this week! Deee-lish! This was pretty easy to put together once I found this pretty DCWV scrap! That's all for today. Thank you so much for stopping by and leaving such sweet comments!!! Love the colours of this card Janis and I am sure your MIL will love it as well. Very pretty! Very pretty--I like the addition of the sequins. So pretty! I love the colors! Thanks so much for playing along with us at The Mod Squad Challenge Angie, Challenge Host. OOH,this is a pretty one! You have meshed to colors perfectly! Happy Mother's Day! Fabulous Mother's Day card! Thanks so much for joining us at Cupcake Inspirations. Lucky me to be seeing another of your cards and this one, like the previous, is a beauty! That floral print is lovely! Again, delighted to see you at the Cupcake gallery!